Tennis, the married duo of Patrick Riley and Alaina Moore, are in the midst of a headlining tour supporting their breezy, buoyant debut album, Cape Dory, a collection of sweetly-sung songs with a salty spirit, inspired by an eight-month sailing trip along the North Atlantic coastline. TAS: I'm so struck how your eight-month sailing trip was the catalyst for these songs on Cape Dory. What was it about the sensation of that freedom, the sea, a solid year of being on water that most inspired you creatively? Patrick Riley: We are too! We didn't write them on board, our boat was really small and barely had enough electricity to power one lamp. The overall simplicity to life at sea was what most influenced our album. 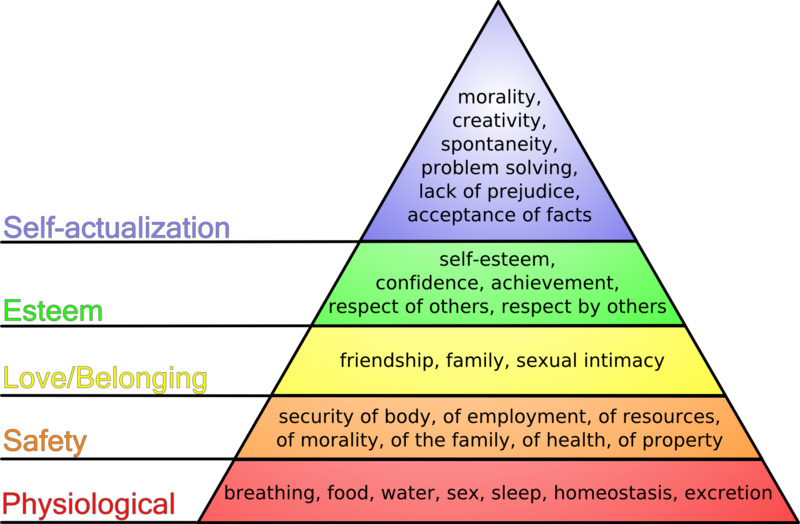 Our lives were reduced to mainly the first few tiers of Maslow's Hierarchy. In this sense, we were connected to our environment and came to think in relation to it. Our album was just suppose to be a representation of this simplicity. TAS: When did the trip take place? Any near catastrophes you recall? Patrick: We left January of 2008 and returned in August of the same year. There were a lot of near catastrophes in the first few months of sailing; everything from groundings to near collisions with ships. We were really only used compass navigation for the first 6 months of our 7 month cruise so you could imagine the inaccuracies. TAS: Your more beautiful recollections of that time? Patrick: Everything is more beautiful when you cut out light pollution, some of the most beautiful places were 100's of miles away from civilization. The tranquility is what most amazed us. TAS: Where is your boat now and are you plotting another trip? Patrick: Our boat is in Elizabeth City, North Carolina at the moment, but we are planning a short trip in April. Our boat's name is Swift Ranger. We didn't name it. The thing we remember most about sailing our boat is the way she finds a "slot," a term referring to when the helm is balanced with the seas and wind - it's a pretty magical experience. TAS: Any similarity between sailing a boat and playing a guitar? Patrick: Playing guitar could be seen the same way; it's always nice when the tone matches the room and the reverb matches the vocals etc. etc. TAS: And I suppose it's a dopey query, but how does a duo so influenced by sailing come up with a name like Tennis? Did you realize how impossible it would be to Google yourselves? Patrick: We really weren't planning on playing music for other people, Tennis was strictly person in its creation. It was really just a name we often jested about ... we are very white people. TAS: You've got SXSW fast approaching - is it your first? How are you preparing to survive the no-sleep, too many gigs, tacos and decadence? Patrick: This will be [our] first time at SXSW and our drummer James [Barone]'s third time. To be honest, we are not that excited to play down there. It's going to be soooo hectic: no sound checks, very little set up time, no sleep, crappy sound systems, no parking, $$$$, etc. I'm sure we are going to be ready for a break after SXSW. TAS: It seems that it's easy to think of bands/artists like The Sundays, Kirsty MacColl or Cocteau Twins when listening to you music, but I read that The Shirelles were the real seed of Tennis, overheard in a bar in Florida. What is it about that girl group sound that so intrigues the two of you? Patrick: I think it just reminds us of a time when music didn't need to be over-intellectualized, it could just be there to make you feel a certain way. Everything about that era was more simple and raw and I think that's what we learn most from. TAS: Songs like "Waterbirds" and "Seafarer" are strikingly beautiful - and also quite different. How has your "sound" developed? Patrick: It actually is just a blend of our two writing styles. Some songs have more of my influence in them, some have more of Alaina's. Some are, what we think, perfect blends of the two. It's just a matter of what blend we want to use at the time. TAS: When the deal with Fat Possum came about you must have been thrilled. What is it about the label that appealed to you? Patrick: Yep! We really hadn't fully committed to music until they expressed interest. Fat Possum is one of those traditional labels with the fewest amount of restrictions. It's the dream label. They have really helped us to create Tennis, if we went with another label that required a producer to shape our sound, I don't think we'd be in the same position we are now. We can honestly say, no one helped us make our album. TAS: Did you feel concerned to be so heavily "buzzed" about? Did that put undue pressure on the two of you, especially since you only really began gigging last year. TAS: How have you been developing your live show? Given all of the touring you've got ahead this year, what are some things you've learned on the road that work for you ... and others that don't? Did The Walkmen offer up any good advice? Patrick: I think any band that plays 50 shows in just a few months is going to learn something a lot of which is going to be ineffable. We've certainly changed equipment a lot; I've gone from playing with no effects, to just reverb, to changing amps numerous times, to jumping my amp, etc. Alaina went through the same thing. It has honestly just been a struggle trying to find the exact sounds we want to use for performance which, thank god, we think we have. TAS: You keep a wonderful blog called White Satin Gloves which details your sailing (and your lives) with much passion and vivid detail - do you love sailing more than music? Patrick: For the longest time we would have told you that sailing was far superior to music. Maybe it still is, but I have to say we are really getting to love playing music. There's really nothing better than writing a new song and falling in love with it. TAS: You were able to accomplish your dreams (and buy a sailboat) by seriously saving money - how did you accomplish that? Are you planning any more sailing trips? Patrick: Make every sacrifice. That's it. As for sailing trips, our next one will be in April. But our next long distance trip will be in October. TAS: You're on tour now with Holiday Shores and La Sera - what's been most exciting about headlining your own shows? Patrick: Touring has really taken a turn since playing with other bands we love. It's a lot different went you have another van full of friends right behind you for the length of your tour. In that respect, we have been far more comfortable and far less home sick. TAS: Are you writing on the road? Patrick: We have been writing a lot on the road which we never thought was even possible. The songs feel a bit different but they have been just as exciting to write. TAS: You've lined up some festivals too? Patrick: We will be playing Primavera and Lollapalooza this year. TAS: There are so many wonderful duos - like Beach House, Slow Club, Phantogram, Wye Oak, Savoir Adore, scores more. What are some of your favorite girl-boy bands - and why? Patrick: Handsome Furs takes the cake for us. Plague Park is one of our favorite albums. Really like that first Pink Mountaintops album too.